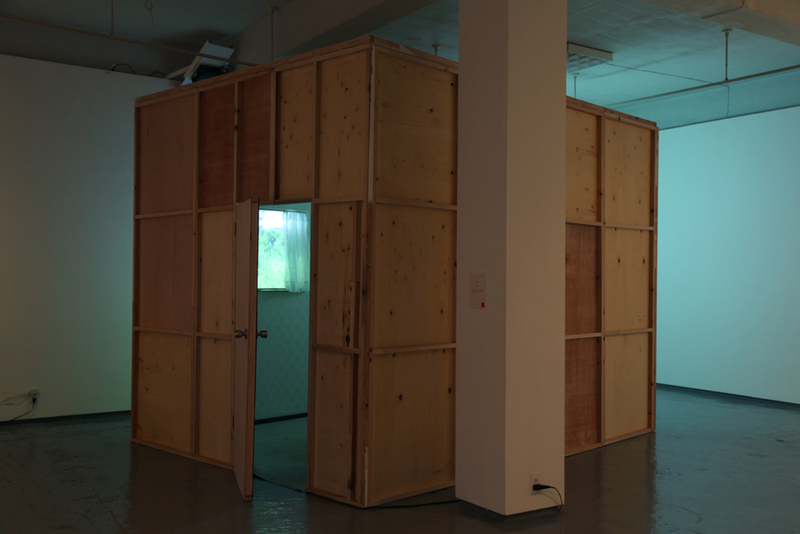 I constructed a simple room and projected a video from behind the two windows. The imagery projected on the two windows is of a mountain scenery. 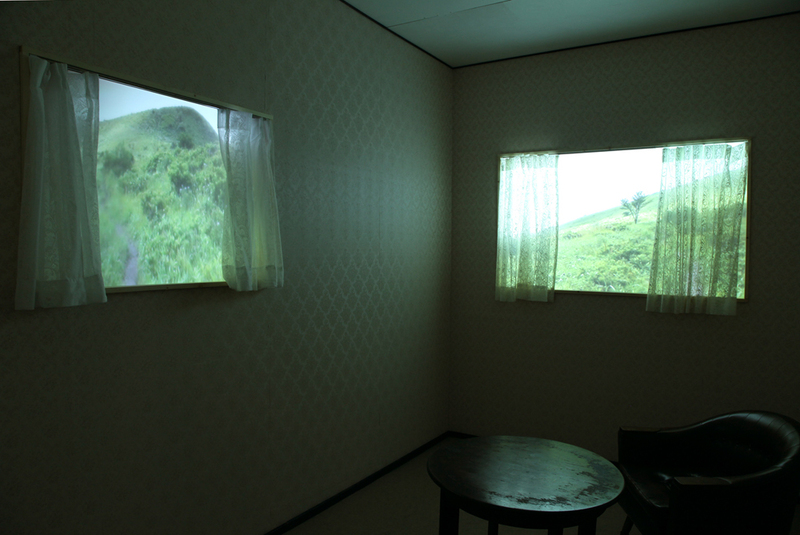 When one is inside the room, they become aware that the scenery in the window is slowly moving and rotating. The video rotates a complete 360 degrees over a time period of 50 minutes. I constructed a fantasy where we question whether the scenery outside the room might be rotating or the room itself might be rotating. This fantasy is created through the combination of the video and the room, as I attempted to create a fiction that can be experienced within the whole space.